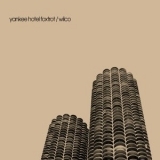 "Don't stop me now, I'm having such a good time"
Yankee Hotel Foxtrot is ranked as the best album by Wilco. Members who like this album also like: OK Computer by Radiohead, Kid A by Radiohead and Funeral by Arcade Fire. Related links: top tracks by Wilcotop tracks of the 2000s, top tracks of 2002. TIMELESS. This is, to me the definition of great music. I am not a musician and an terrible at using words in all circumstances to describe anything, but they use what I think is a cello a lot in this album in the back and kill it. I can be having the worst day ever and this album will bring some sort of positive to my negative. I stumbled across this gem in a meth induced psychosis and continued to listen to it after sobering up and throughout my journey into my faith and speaks into every aspect of my life. I think its a cut above the rest of the alternative landscape of the time period. It's not my cup of tea but I can appreciate it to an extent, kind of like Neutral Milk Hotel, The Flaming Lips, and Kid A by Radiohead. The album cover is really pretty - in particular the color scheme and font. Top Tracks: "I Am Trying to Break Your Heart", "Radio Cure", "Jesus, Etc. ", "Ashes of American Flags", "Heavy Metal Drummer"
This is one of those albums that you just love to hear, It's calm, It makes you feel good, It makes you feel nice. There is not a lot of music ranked so high in this site that does this. Very emotional record with a lot of great melodies, sounds, and songs. Not a dull moment the entire time, with some incredibly interesting times along the way. "Ashes of American Flags" and "Poor Places" are the standouts to me, as they use the sounds of the rest of the record but in a sad way. Wilco's masterpiece, certainly. Every track is worth hearing. I get the appeal. It has a nice baroque pop feel to it, but I’d like to dismiss it as dad rock if I may. It all seems too much calculated. Music should be spontaneous. 'Yankee Hotel Foxtrot' is really, really good. I've heard it dismissed as 'Dad rock' by lots of people, but if you give it a listen it'll definitely be worth your time. Personally I love 'Pot Kettle Black', 'I Am Trying to Break Your Heart', 'Poor Places' and 'Heavy Metal Drummer'; but the whole album is great. It's a shame that Wilco have never made anything else that gets to this level, I don't care for 'Summerteeth' unlike others.